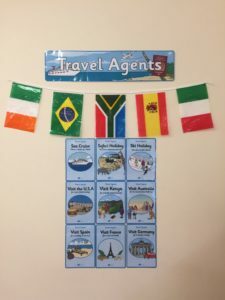 As many of you know our last Aistear topic was ‘The Travel Agents’. 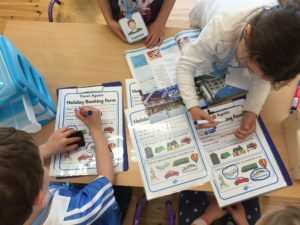 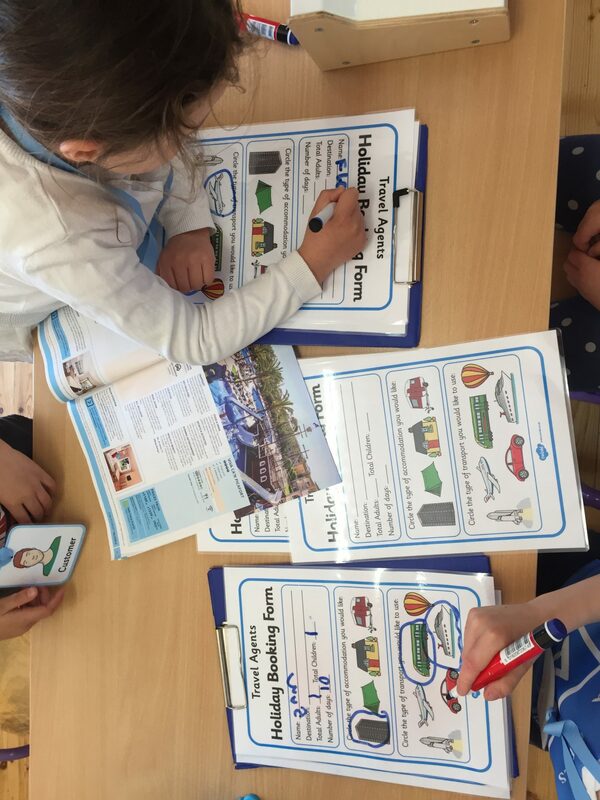 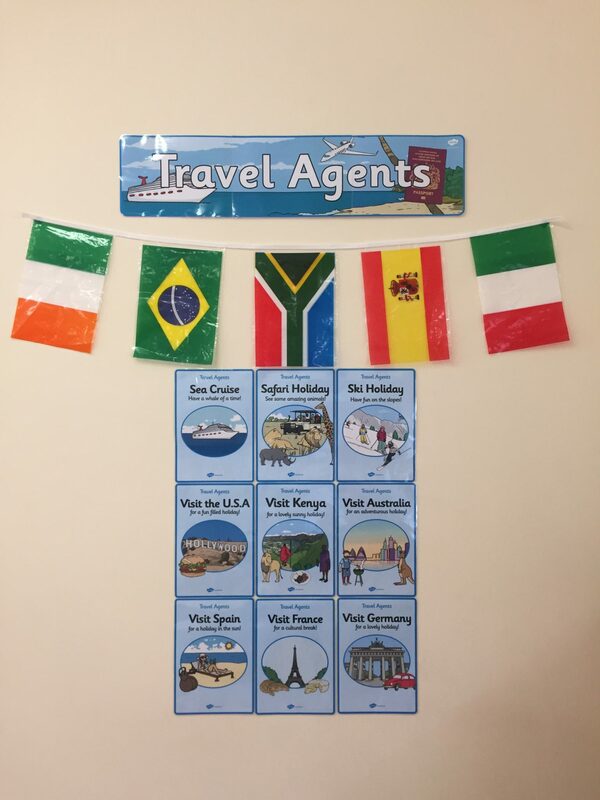 Junior Infants had a lot of fun deciding where they would go on holidays and what type of holiday they would go on. 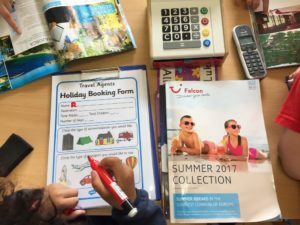 They also had to decide on how they would travel and what type of accommodation they would stay in when they got to their destination. 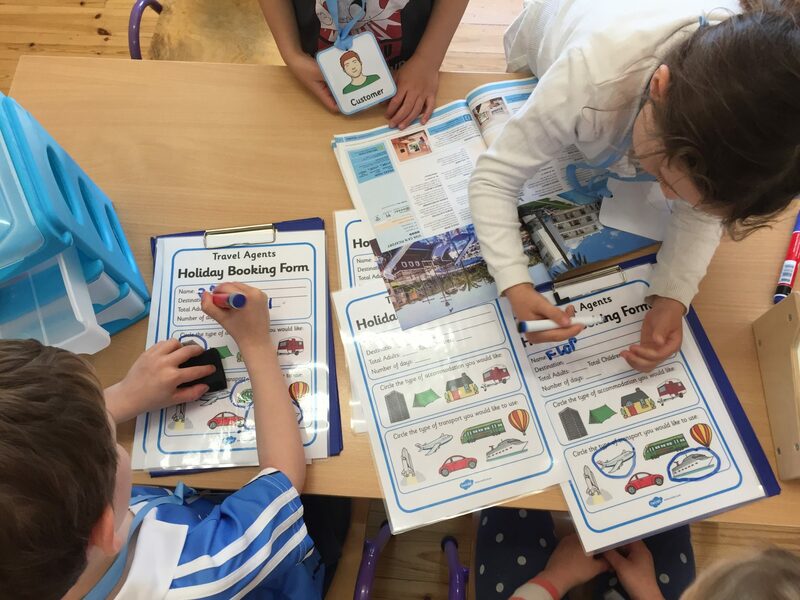 We had some great Travel Agents on hand to offer advice and help us book our holidays! Here are some pictures to show what we were up to! 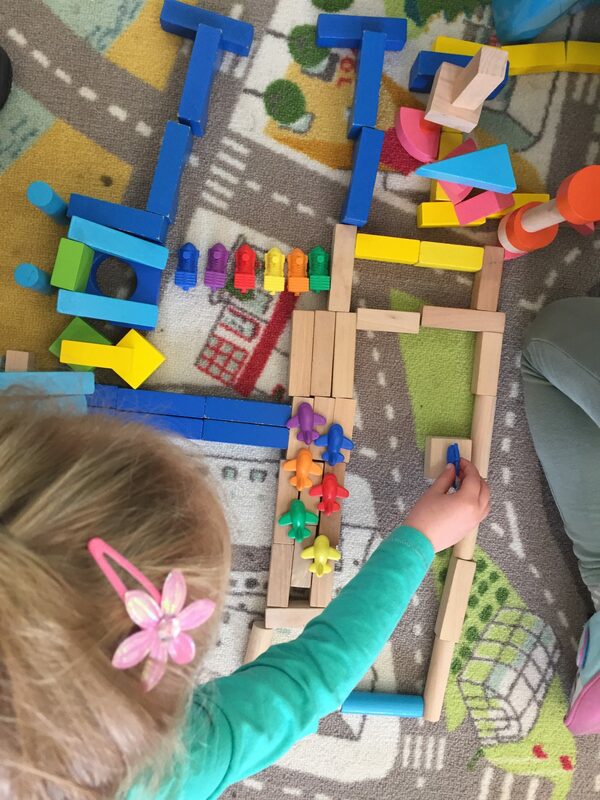 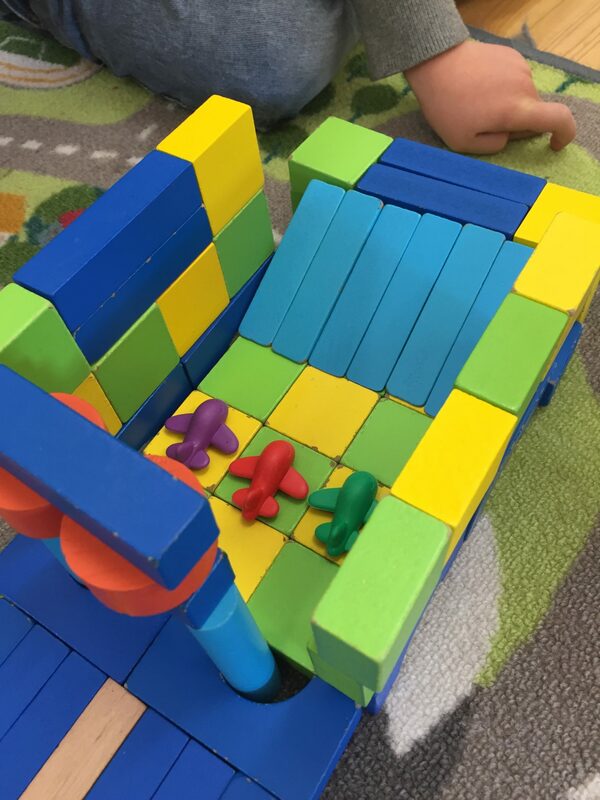 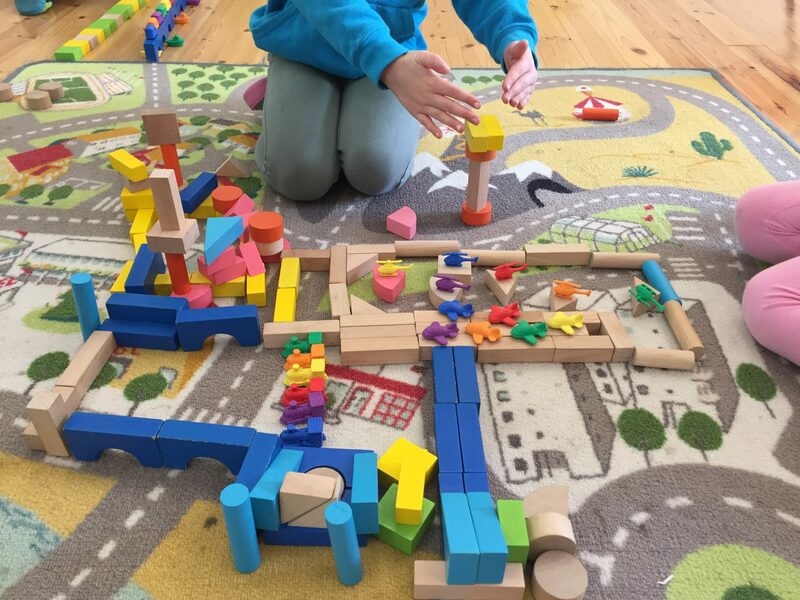 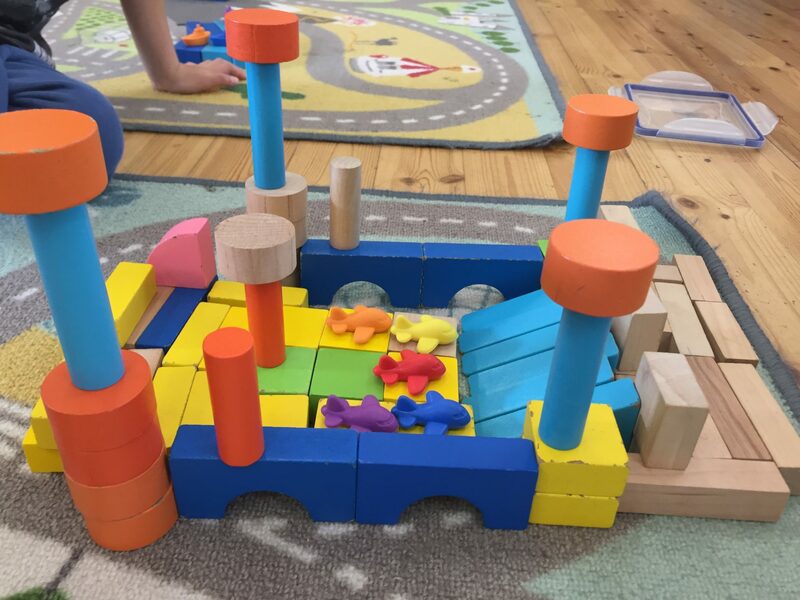 In the Construction Area, we were busy designing airports, making sure there were lots of car parks for those going on holiday. 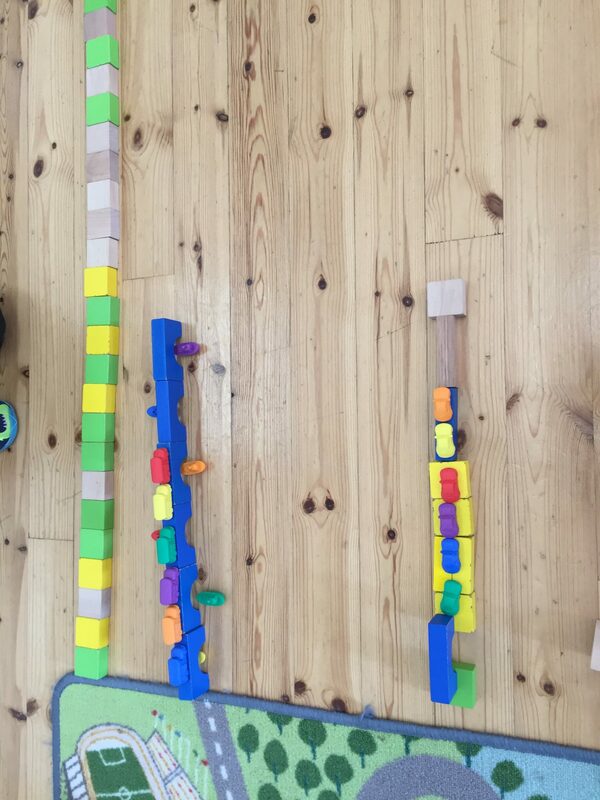 We also had to make sure there was a big long run way for the airplanes to take off! We were very excited to see that our Water Area had changed to a Sand Area with some new sand equipment for us to use. 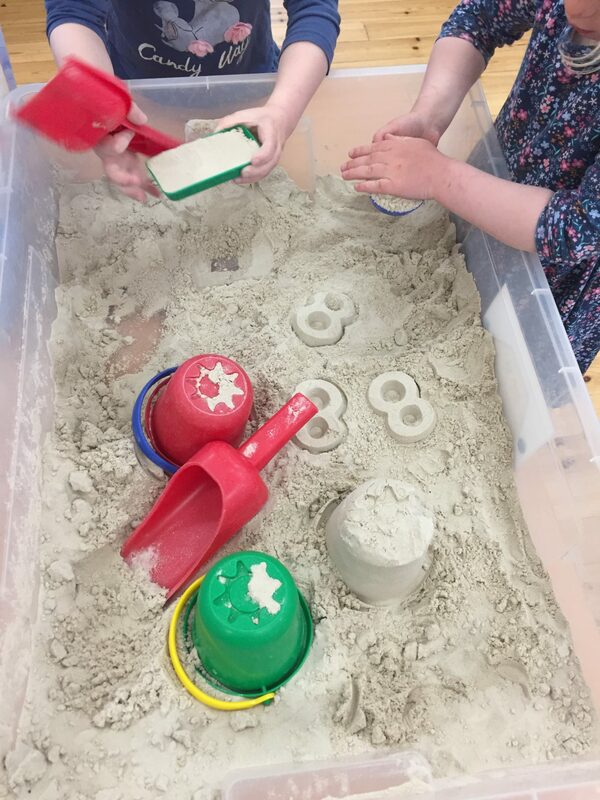 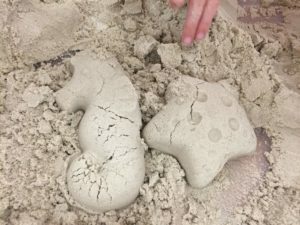 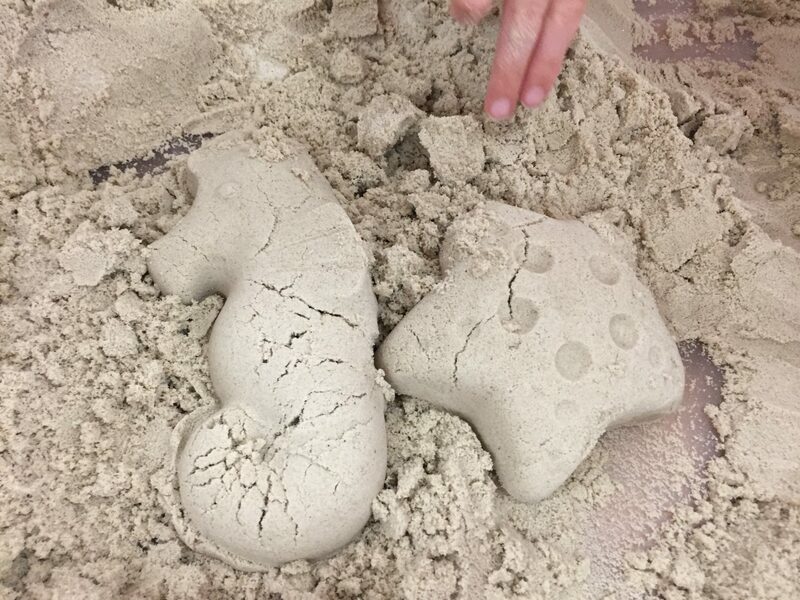 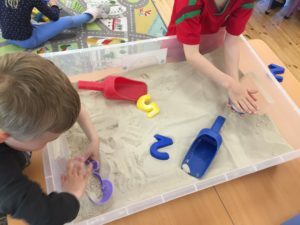 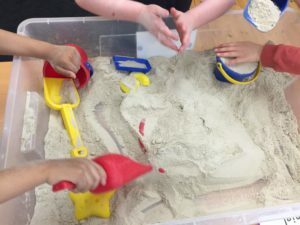 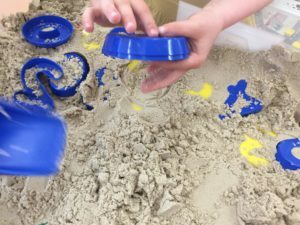 We had a lot of fun in our new Sand Area! 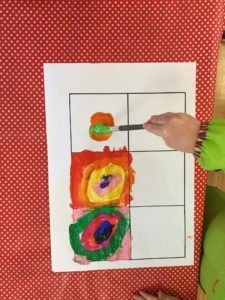 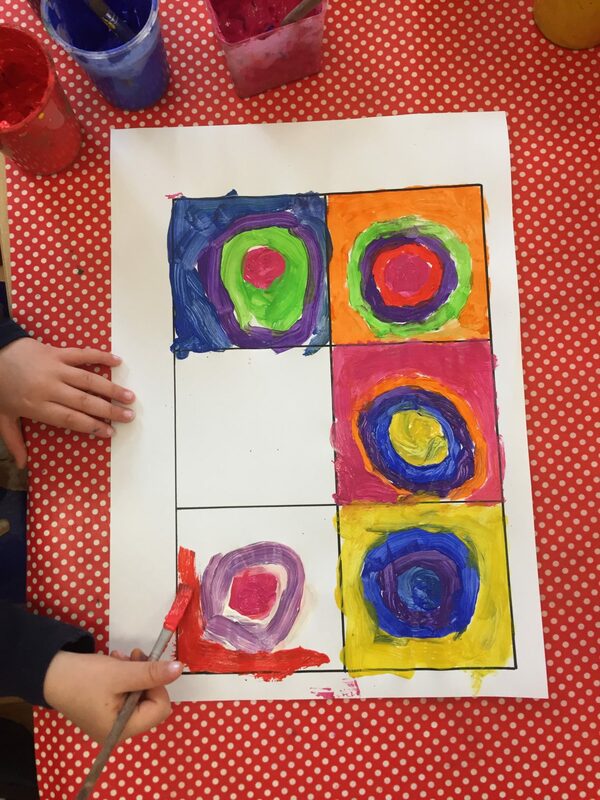 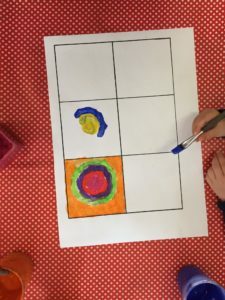 In our Creative Area we were looking and responding to a famous painting by Kandinsky called Concentric Circles. 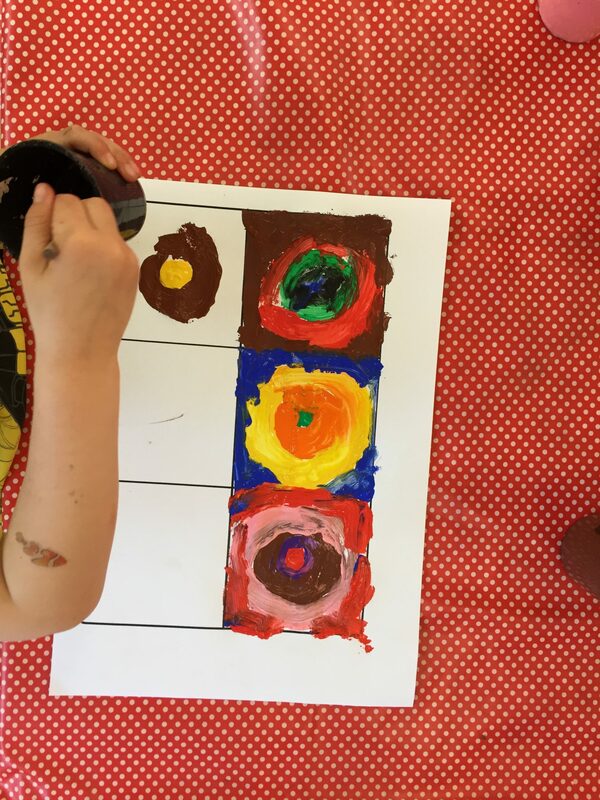 We liked his painting so much that we decided to have a go at painting our own Concentric Circles. 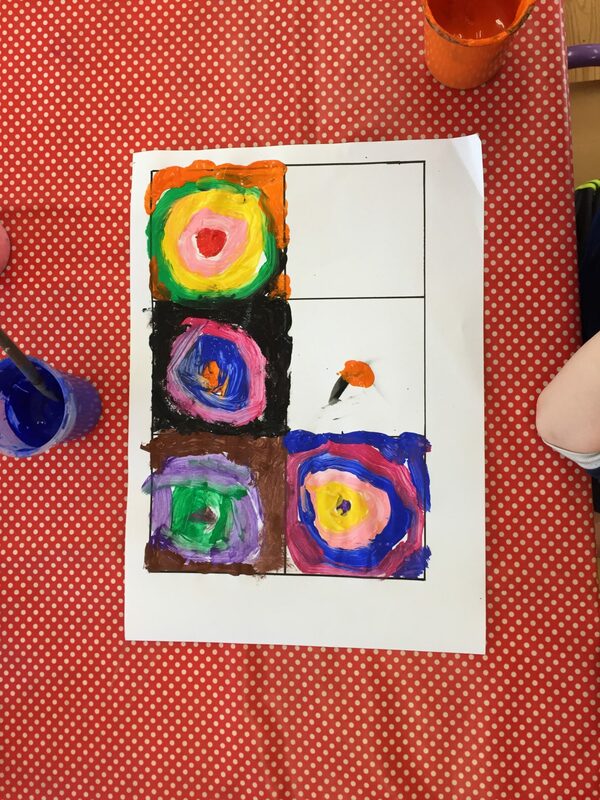 Ms. Johnston was so impressed with how they turned out! There are definitely some budding artists in Junior Infants! 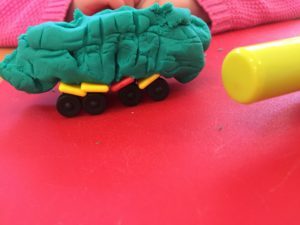 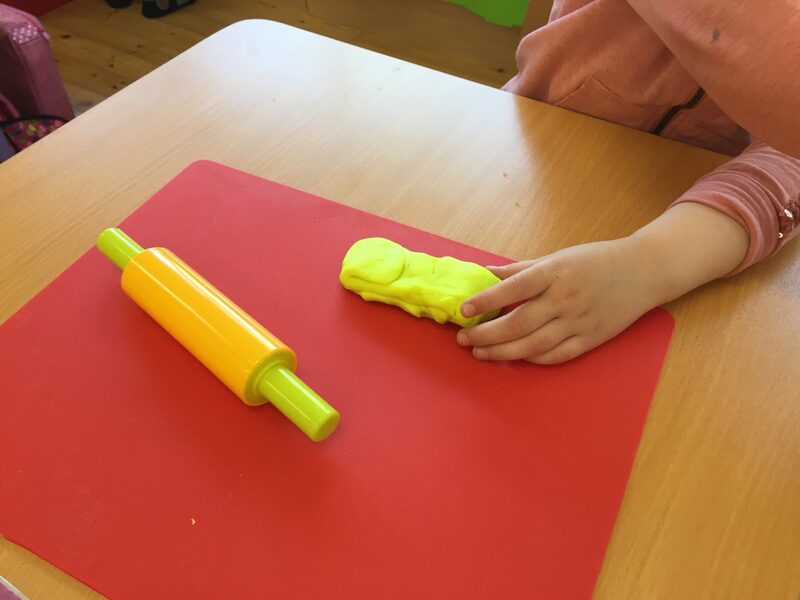 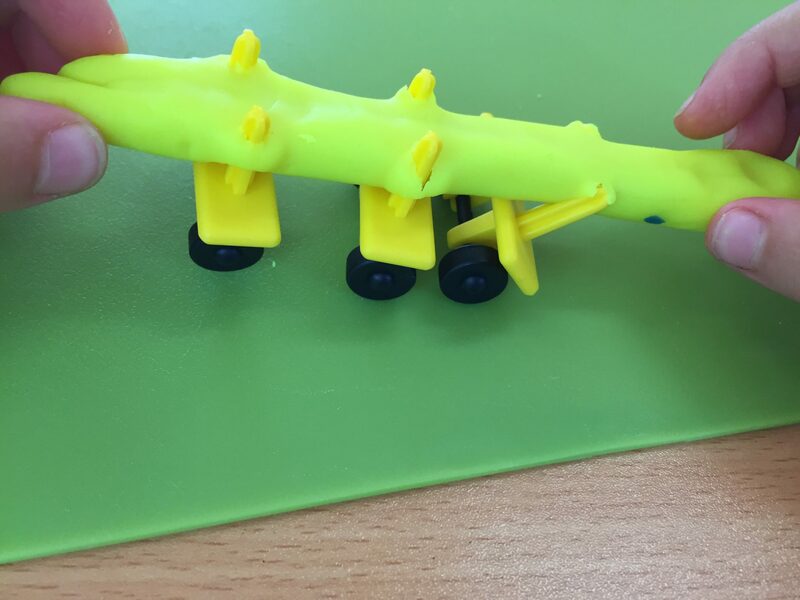 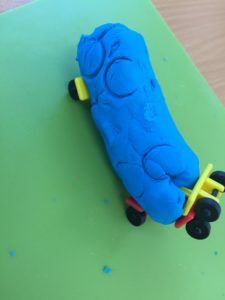 As we are covering the theme of Transport, we had the addition of some new wheels in the Play Dough Area. 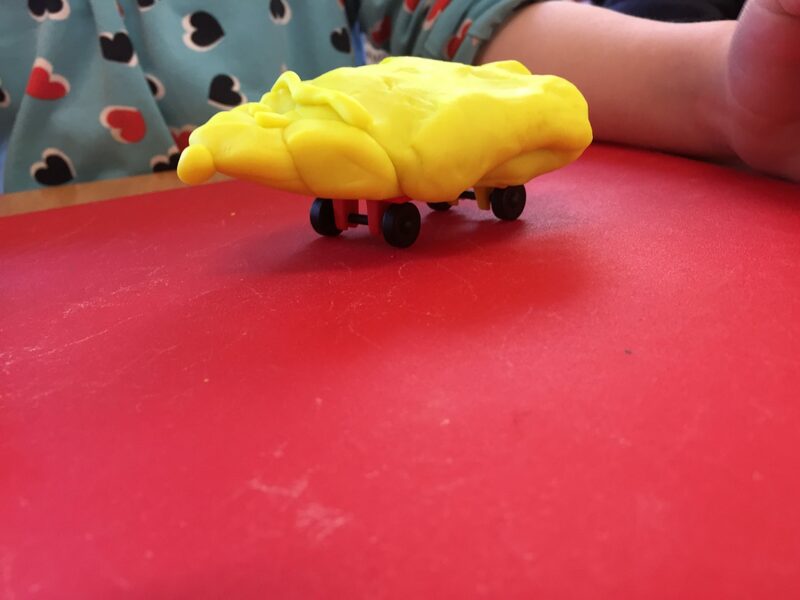 We used these wheels to help us design some different modes of transport. Here’s what we came up with! 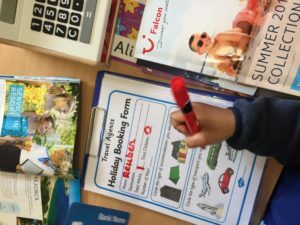 Next story And we’re off!! 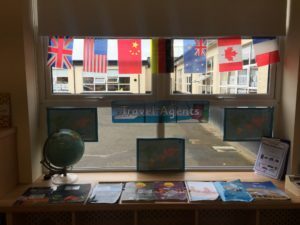 Previous story Junior Infants are getting ACTIVE!